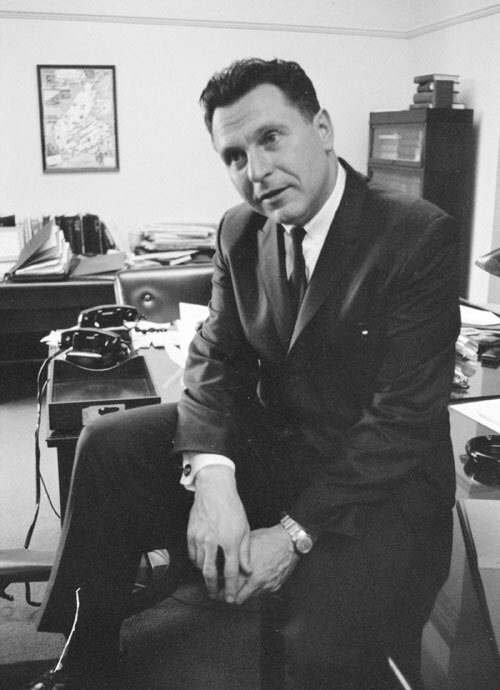 Born in Inverness, Nova Scotia in 1921, Allan J. MacEachen is a scholar, educator and politician. He graduated from St. Francis Xavier University with a B.A. in 1944, and from the University of Toronto with an M.A. in Political Economy in 1946. He taught at St. Francis Xavier University from 1946 to 1948 and later became head of the Department of Economics and Social Sciences. During this time he continued his studies in economics at the University of Chicago and the Massachusetts Institute of Technology. MacEachen’s remarkable political career began in 1953, when he won election to Parliament from a Cape Breton riding. Although he was re-elected in 1957, he lost his seat in 1958 and then became a special assistant and consultant on economic affairs to Lester Pearson. MacEachen won re-election in 1962, remaining a Member of Parliament until 1984. Although he held many important Cabinet posts during his parliamentary career, one of the most influential was that of Minister of National Health and Welfare (1965–1968) during the creation of medicare. 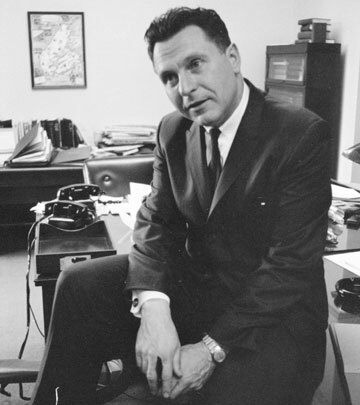 Like Judy LaMarsh, MacEachen was strongly committed to medicare and credits his academic background, his experience as Pearson’s special assistant and his skill as a parliamentarian for getting the Medical Care Act passed in 1966. Alan MacEachen, Minister of National Health and Welfare in Lester B. Pearson’s government, shown shortly after he introduced the Medical Care Act in July 1966. © Library and Archives Canada, PA-117121. Photographer: Duncan Cameron.